if you're new here, you might not know how much i LOVE gold foil! love it so much! and i've been having a blast with some of the minc mediums like reactive mist! 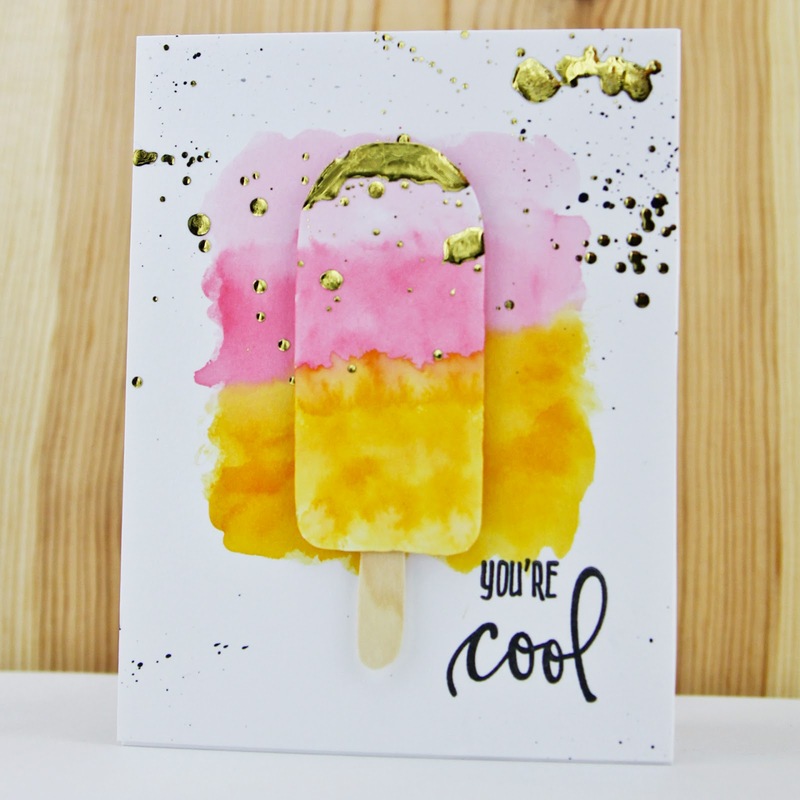 to create this card, paint a loose watercolor background on a 4-1/4 x 5-1/2 panel of smooth bristol with distress inks. 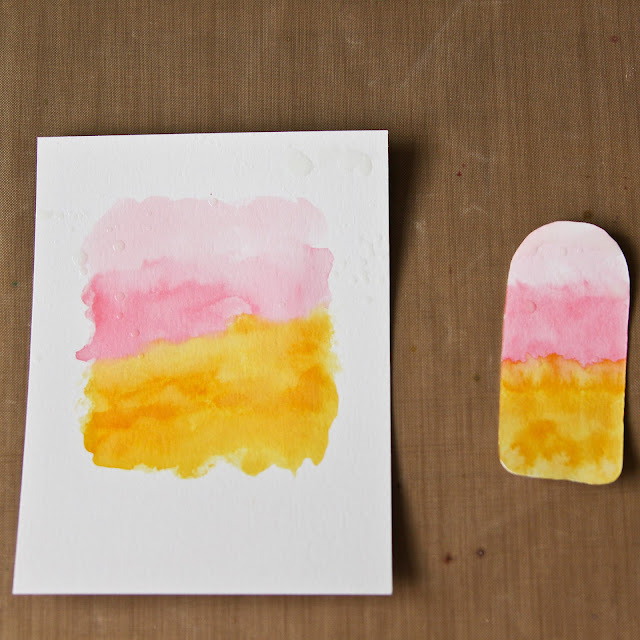 paint a matching pattern on a popsicle die cut. 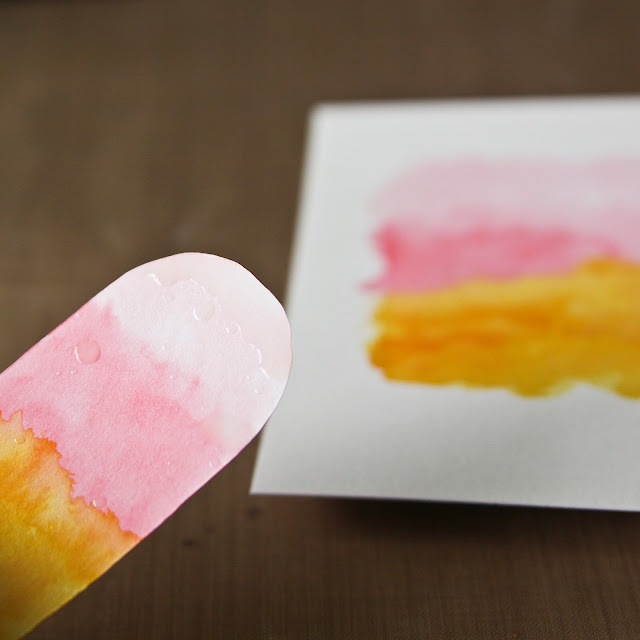 when watercolor is dry, spray with reactive mist. 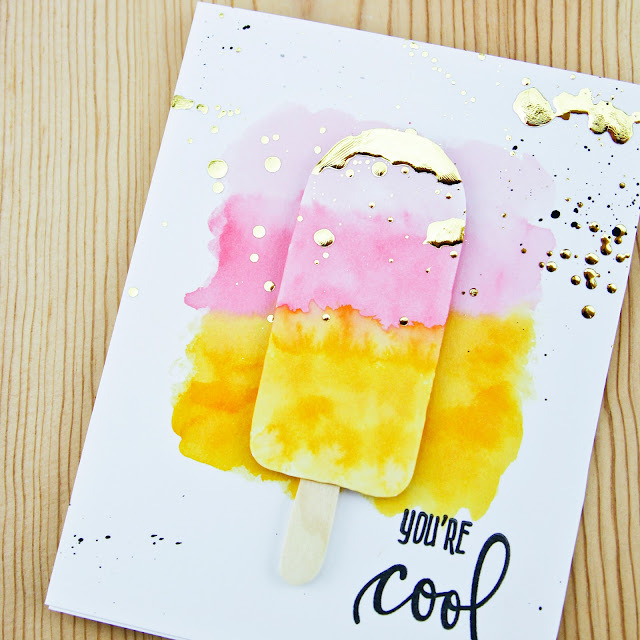 when mist is completely (completely is key), top with gold foil and run through minc/laminator. cut popsicle stick from wood veneer paper and foam mount to panel. stamp sentiment, add black splatter and assemble card. so easy right? thanks for coming by!